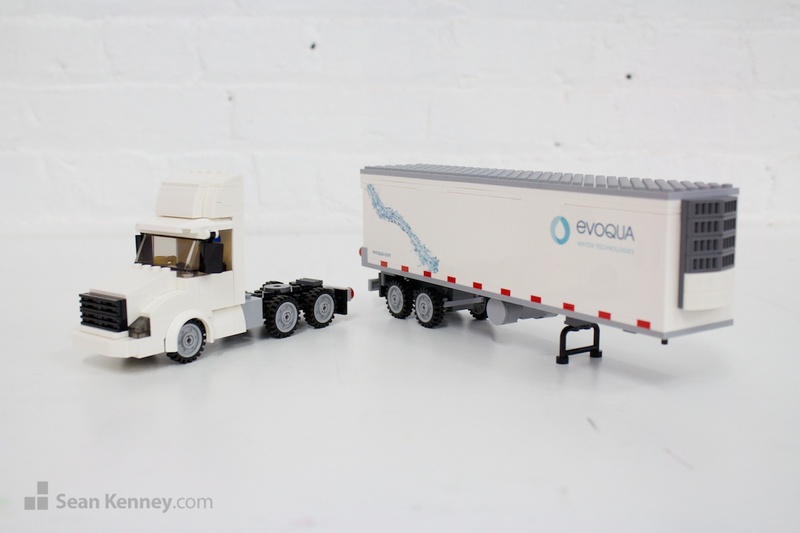 Along with a much larger truck, water purification company Evoqua asked me to create these 5 little trucks featuring their corporate identity that they used as executive gifts. The models are fully glued (but still fully playable!) 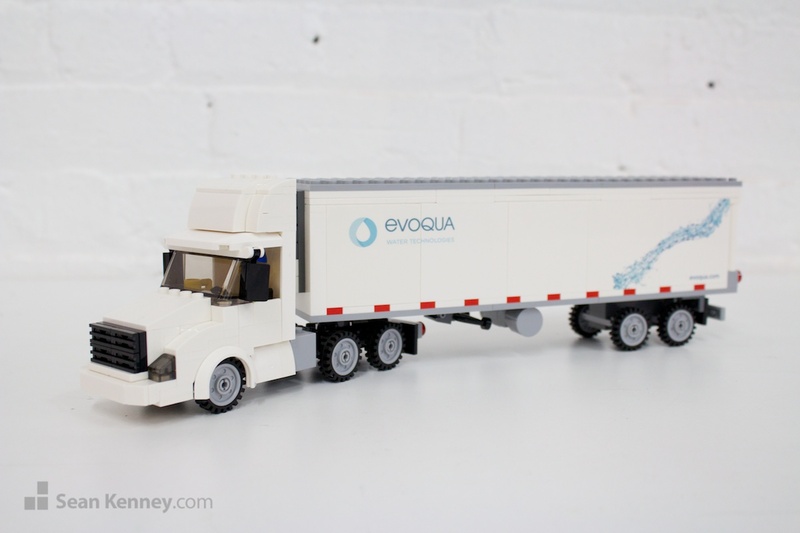 and feature working doors and wheels and a fully articulated, removable trailer with an operable kickstand. 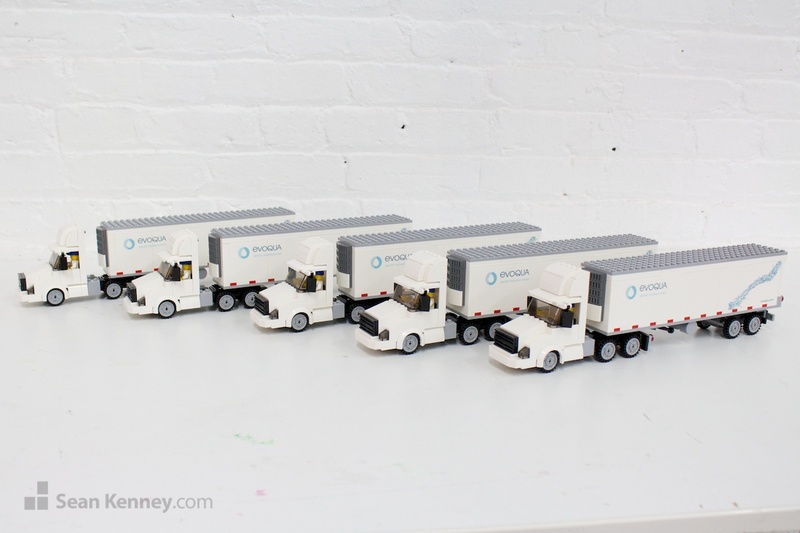 Each model contains 274 pieces and measures about 12 inches long.